Cinémas Lumière is the legal entity of the Institut Lumière of Lyon which operates the La Fourmi, CNP Bellecour (3 auditoriums) and CNP Terreaux (4 auditoriums) cinemas in Lyon (France). 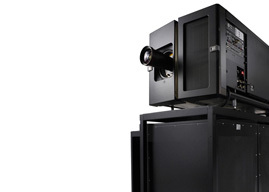 Family-run cinema chain located primarily in the eastern Lake Leman and Chablais regions. Seven cinemas, six cities, 14 screens and 2 130 seats. Headed by Cédric Aubry, Circuit Confluences currently oversees two cinema sites, in Sens and Varennes sur Seine, with a total of 16 screens. The group also books films for the Champagne sur Seine site. Founded in 1950 by current CEO Jean-Pierre Lemoine, the Mégarama group operates 173 screens in 24 multiplexes across France, Spain and Morocco.